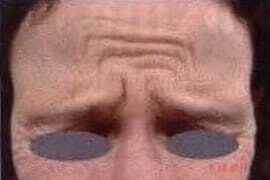 The wrinkle in the inter-eyebrow zone, better known as the frown line, is a frequent reason for consultation. It gives a stern and angry look. This negative connotation doesn’t like to people. 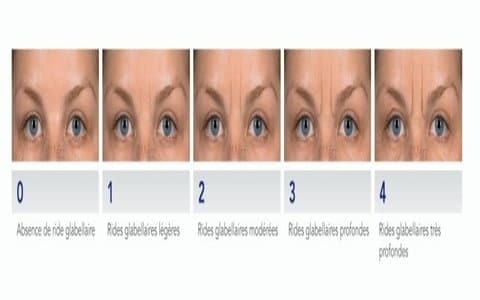 Different degrees of wrinkle severity are shown on scales for static wrinkles anf for wrinkles when frowning. 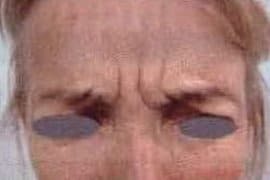 The corrugator muscle is responsible for the appearance of these wrinkles. 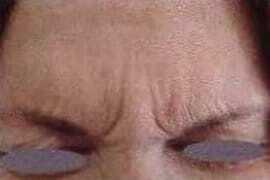 When the muscle contracts, the skin follows, leading to dynamic or ‘movement’ wrinkles. 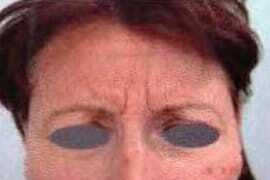 Static or ‘at rest’ wrinkles are due to the gradual breaking down of the skin’s elasticity as it follows the muscle. It is possible to intervene at the first signs of appearance of lion's wrinkles, whether static or dynamic. 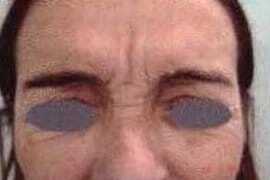 The first injections can be done as soon as the patient feels embarrassed by this sign of old age. You really feel that everything is done to satisfy you. 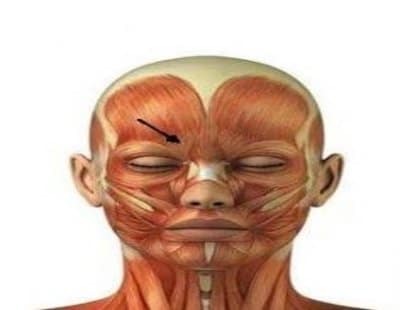 I had very satisfying results for the injections of my lion’s wrinkle. I’m delighted. Lion’s wrinkle disappeared. I really felt awful. Thank you Doctor. My close ones didn’t notice a thing! Very naturel result. Great work. I was neurotic about my lion’s wrinkle. Thanks Doctor Romano, very satisfying result.